During a round of this mini-golf inspired attraction target holes on the floor take turns lighting up for a limited time each. 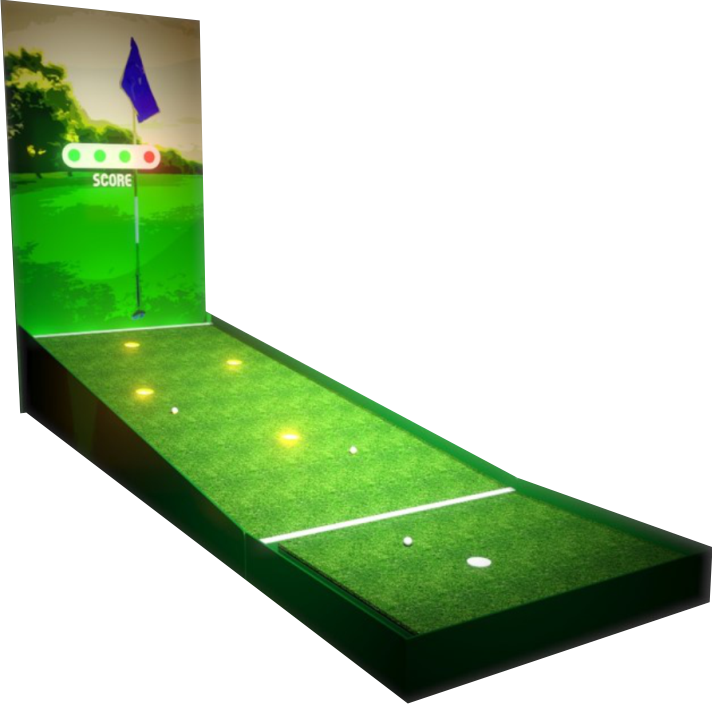 While a hole is lit, the player has to hit a golf ball into it in order to score a point. A scoreboard keeps track of the successful putts encouraging a healthy competition among friends. As with all of our attractions, the whole experience can be tailored according to a specific theme. By default the attraction contains two tracks next to each other, but the number can be scaled up or down. You have 60 seconds to get the ball rolling to the hole. 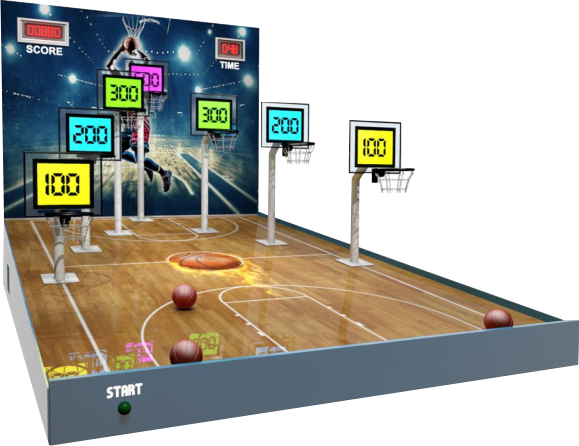 Challenge yourself with several targets of different difficulty levels.